I gave out the assignment sheet for the the second paper on The Warriors and it’s due April 17. Details on the assignments page. You can view The Warriors (or Do the Right Thing which we’re not officially watching this semester) on the Video page: same password as everything else. I suggest watching it at least one more time and taking good notes while you watch. I’ll be returning the first paper to you via the same email address you sent it from. Look for it tomorrow. There’s an important event on Wednesday April 11: former Black Panther Party member Ericka Huggins will be visiting Lehman! The event’s from 4-5 PM in the Music Building’s Faculty Dining Room (right inside the main entrance on the first floor). Event flyer’s here (PDF). Extra credit is available is you’re attending and want to write something up. The assignment sheet for the extra credit will be available on the assignments page the week we return from break. On Tuesday, 4/10, we turn to Angie Cruz’s novel of Dominican immigrants in Washington Heights, Soledad. On Thursday, 4/12, Read pages 47-111 (Chapters 4-5) in Soledad. Presentation by Bryan, Anthony, and Justin. I gave out the assignment sheet for the the second paper on Do the Right Thing and it’s due April 17. Details on the assignments page. 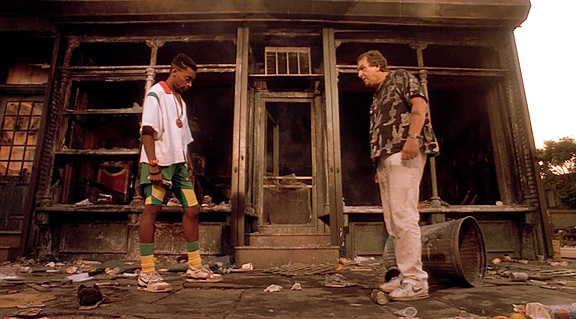 You can view Do the Right Thing (or The Warriors which we’re not officially watching this semester) on the Video page: same password as everything else. I suggest watching it at least one more time and taking good notes while you watch. I’ll be returning the first paper to you via the same email address you sent it from. Look for it tomorrow if you haven’t gotten it yet. Presentation by Tandy, Jennifer, Chris, and Emma. For Tuesday, March 27, we’re going to take a detour and watch and discuss the film The Warriors (Walter Hill director, Paramount Pictures, 1979). We’ll watch the first half of the film on Tuesday and finish it Thursday before spring break. To prepare, read this Village Voice feature on the film and its legacy. Also skim the storyline from the official film website. 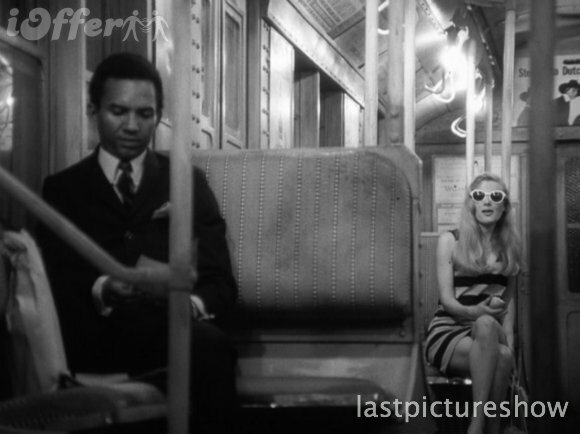 The film is set largely at night, in 1970s New York, and mostly on trains, so mobility and movement is a major theme, as is the noir feel, coming from the gritty, underground nature of the city at that time and the emphasis on (fictional) streetgangs. This is a contrast to some of what we’ve read so far, as it offers a dystopian (and somewhat anarchic) view of New York as a crumbling city in crisis, which is not far off the reality of the period, as NYC was emerging from a crippling fiscal crisis. For more background on actual 1970s New York street gangs, Henry Chalfant’s Flyin’ Cut Sleeves is essential viewing, and includes a lot of footage used in later films. It’s on YouTube as of this writing. The documentary From Mambo to Hip Hop focuses specifically on the early period of hip hop and evolution of Bronx street gangs. It’s also on YouTube (as of now) and embedded below. Pay particular attention to the excerpt from from Murray Forman’s book The ‘Hood Comes First: Race, Space, and Place in Rap and Hip Hop (Wesleyan University Press, 2002) on reading urban space, which is a PDF on the Readings page. On Thursday, 3/29, we will have the rescheduled Midterm exam. Note that this is the last class before spring break, so do not miss it! Make-ups will not be offered.